Stack’s Bowers and Ponterio is pleased to announce details of their upcoming Hong Kong Auction of Chinese and Asian coins and currency, to be held Monday, April 2 through Wednesday, April 4, 2018, at The Mira Hong Kong, 118 Nathan Road, Tsim Sha Tsui, Kowloon, Hong Kong. 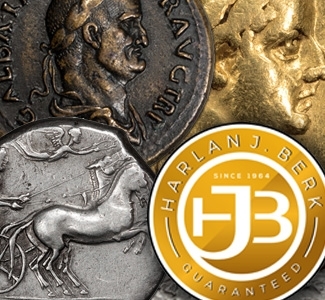 Stack’s Bowers and Ponterio is the leading auctioneer of rare coins and banknotes in Asia, and this auction is replete with extraordinary rarities and numismatic treasures. Session B will commence at 9:30 AM Hong Kong Time on Tuesday, April 3, beginning with Vintage Chinese Coins. 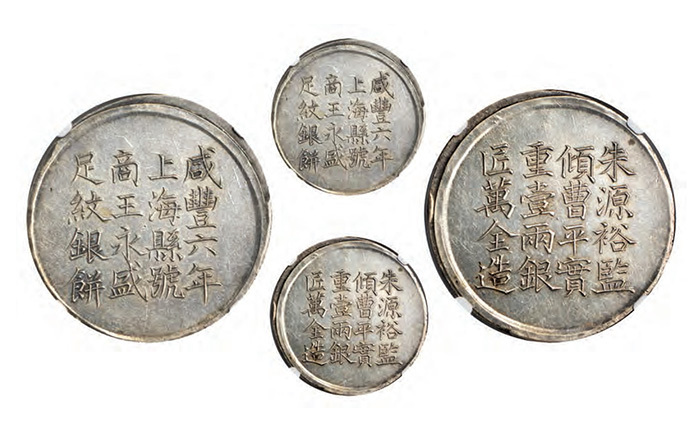 The first major highlights are back-to-back 10 Tael Gold ingots (Lots 50010 and 50011) with the first confirmed to be Ex Nanking Cargo and the second presumed to be. 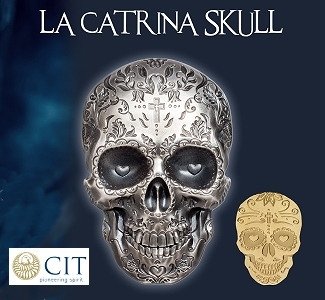 Either would be a thrilling addition to any collection of world gold or the cabinet of a treasure enthusiast. A strong run of the standard sycee types follows. A robust Provincial Issues section presents over 240 lots. This vast and deep area of Chinese numismatics is well-represented with coinage from Anhwei, Chekiang, Chihli, Fengtien, Fukien, Honan, Hunan, Hupeh, Kiangnan, Kiangsi, Kiangsu, Kirin, Kwangsi, Kwangtung, Kweichow, Shanghai, Sinkiang, Szechuan, Taiwan, Tibet and Yunnan. The first highlight appears just six lots in: Lot 50052 is a condition-census Chekiang 1898 50 Cents piece. The next highlight is featured prominently on the front cover of the catalog: Lot 50056, a Chihli (Pei Yang Arsenal) 1896 Dollar. This rare and impressive coin offers gorgeous multi-color iridescent tone and is a stunning piece certain to elevate the next collection it enters. Another exceptional Chihli piece is Lot 50078, a Mint State 1907 Dollar with lovely champagne toning. Moving on to Fukien province, a rare 20 Cent issue commemorating the “Victory of the Revolutionary Army’s Northern Expedition” is featured as Lot 50098. The ever-popular Hupeh Tael in Lot 50107 has “Small Characters” and a dynamic pair of flying dragons, a very desirable type. Lot 50161 is a high grade and rare “Wu Shen” Dollar from Kirin that features the Arabic numeral “11” at the center of the reverse and is an exception for an issue that is typically encountered with surface issues such as chopmarks. An exceptional Auto Dollar from Kweichow in Lot 50181 offers quality that is especially nice. There are an additional three Auto Dollars, a veritable “Car Dealership”. Lot 50188 is a historically significant Shanghai Tael, representing an attempt to oust the Spanish 8 Reales as the currency of choice in Shanghai. This piece is notable as the first Tael coinage produced in China. The next highlight is also a major first for Chinese numismatics: an “Old Man” Dollar produced in Taiwan. This coin – Lot 50226 – is considered the first silver dollar minted in China and remains an ever-popular type. Tibet is represented by a strong run of coinage of over 30 lots in this catalog. Immediately following the Provincial coinage is the Empire General Issues section. A glorious 1906 5 Mace Restrike in Lot 50302 is the finest certified. Starting with Lot 50304, there is a steady run of highlights: two gorgeous 1910 Pattern Dollars, a ¼ Dollar from the same series, a tremendous “Long Whisker Dragon” Dollar and a “Reversed Dragon Pattern” Dollar. The Long Whisker Dollar offers gorgeous toning and the “Reversed Dragon” Pattern features blazing white luster (Lots 50307 and 50308). Republic General Issues are well represented in this sale, with nearly 90 lots that include many popular types representing the personages of the era: Sun Yat-sen, Li Yuan Hung, Yuan Shih-kai, Hsu Shih Chang, Tuan Chi Jui and Tsao Kun. The highlights begin with a superb gem quality Low Stars Dollar (L&M-42) as Lot 50322. An exceptional Li Yuan Hung with hat Dollar appears as Lot 50324 while a gorgeous Dragon and Peacock Dollar is found in Lot 50369. A trio of exciting Sun Yat-sen Pattern Dollars are offered as Lots 50377 through 50379, with two from the British dies and one from the Austrian design. Lot 50387 is a superb gem Yuan Shih-kai in tall hat Dollar featuring pristine surfaces and radiant luster. One of the most interesting highlights offered in this auction is the “Mint Sport” Pattern Dollar with Gold Standard Reverse (Lot 50394). A history of this piece can be found in the catalog or online at StacksBowers.com. Three separate offerings of the Yuan Shih-kai Flying Dragon Reverse Dollar in Lots 50395 through 50397 present an always in demand and visually stunning type. Rounding out the Republic section are two Meng Chiang aluminum pieces (a Fen [Cent] as Lot 50410 and a Chiao [10 Cents] as Lot 50411). Soviet Issues feature a rarely encountered Hupeh-Honan-Anhwei Soviet Dollar, with an intriguing pseudo-Russian script of debased Cyrillic (Lot 50412), the fascinating history of which can be found in the catalog. 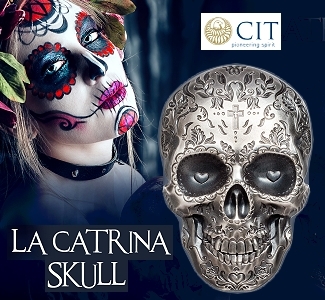 Additional exciting pieces are found in the Fantasies and Chinese Medals sections, so if Exonumia piques your interest be sure to browse there. 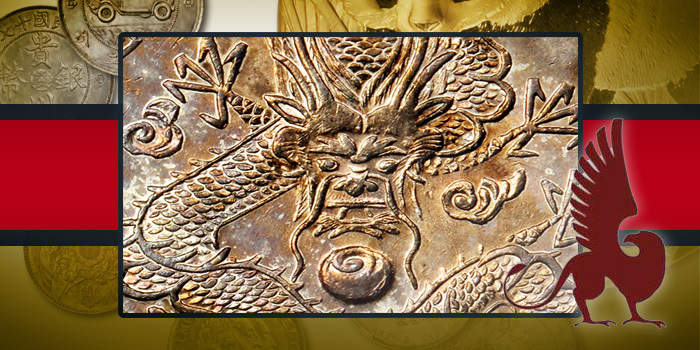 The Auction resumes on Tuesday April 3 with Session C – Modern Chinese Coins at 6:30 PM Hong Kong Time. With over 200 lots this session is sure to include something for all varieties of collector. The Panda Series opens the session, a series that enjoys evergreen popularity among collectors. The first highlight, lot 51021, is a hefty 12-ounce gold Panda denominated at 1,000 Yuan dated 1986. The 1995 50 Yuan gold Panda is a key date for the series, and there are three opportunities to own one in this sale, Lots 51054 through 51056, with both large and small date varieties offered. A Kilogram 10,000 Yuan 2002 gold Panda issue is lot 51083 and with its mintage of a just 68 pieces it is an item that may not be seen at auction for years to come. Modern Chinese offerings continue with great offerings from the Lunar Series, dominated by a magnificent 12-ounce golden Rooster. Denominated at 1,000 Yuan, with a mintage of just 99 pieces Lot 51123 is certain to create excitement as it crosses the auction podium. Lot 51157 features an incredible Proof Platinum Unicorn at the pinnacle of certification (NGC Proof-70 Ultra Cameo). Other Modern Chinese coinage series are represented as well, including Olympic Series, Historical Figures and Year of the Child. The next significant piece is Lot 51188, a 500 Yuan five-ounce gold piece issued in 1993 to commemorate the Centenary of Chairman Mao’s birth. This substantial issue features a commanding visage of Mao and has a tiny mintage of 100 pieces. 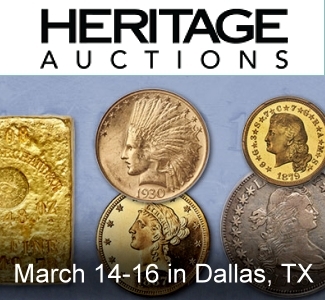 The Stack’s Bowers and Ponterio Hong Kong Showcase Auction continues on Wednesday April 4 at 9:30 AM Hong Kong Time with Session D: Hong Kong, Ancient and World Coins. The Hong Kong Coin section offers over 60 lots, including some nice vintage material, but the heft of this session lies in the modern issues. There is an especially strong run of gold Lunar Series issues that present a lovely variant to the collector of modern coinage of mainland China. Multiple complete 12-piece sets of the Lunar Series will be offered. Immediately following the Hong Kong offerings are coins from a variety of countries and regional states: Annam, Australia, a lovely run of Burmese coinage, Cambodia, Comoros, French Cochin and Indo-China, some tremendous gold issues from Great Britain, a strong showing of Japanese issues, Russia, Singapore, Straits Settlements, and a lovely Thai offering. 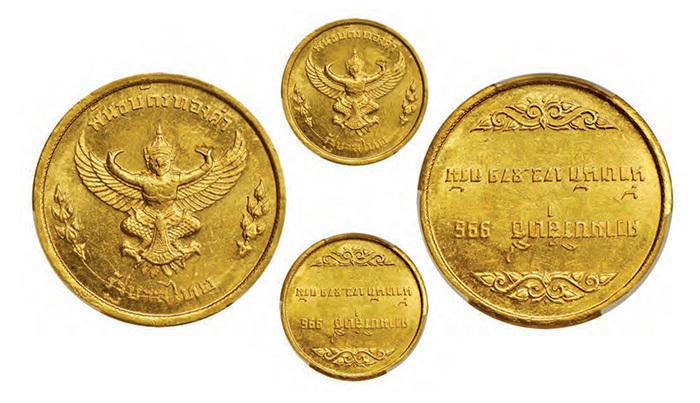 Highlights include Lot 52110, a Cambodian 50 Centimes Souvenir issue in gold, a rare type with few certified examples. An 1879 French Cochin China Centime Piefort Essai with only two examples known offered as Lot 52117, is a thoroughly rare example. French Indo-China also provides a lovely and scarce Essai issue in Lot 52132, a Piastre Pattern in silver, and one of only four known examples. 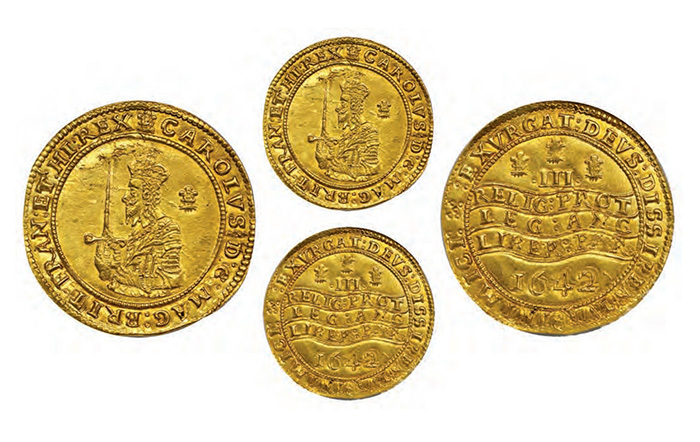 Directly following is a wonderful selection of British hammered gold issues, headlined by three staggering examples of the largest and heaviest hammered gold coin to be struck in England: the famed Triple Unite (Lots 52143, 552144 and 52145). The circumstances leading to the English Civil War are laid out in a concise overview preceding the three examples, detailing the establishment of the Royalist mint in Oxford and the Wellington Declaration. A Mint State William and Mary 5 Guineas in Lot 52146 rounds out this quartet of fabulous large English gold highlights. 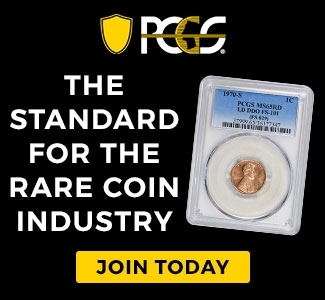 The coinage of Great Britain provides yet another highlight in Lot 52170, a lovely Proof Trade Dollar, dated 1903-B, the sole certified example at NGC or PCGS. The offering of Japanese coinage features two examples of first issue of the large gold 20 Yen, dated Meiji 3 (1870). The first example (Lot 52186) is a tremendous Mint State example, while Lot 52187 offers a second chance for the under-bidders on the previous example. More large gold appears later in the sale as well, including Lot 52288, a Singapore 12-ounce piece commemorating the Year of the Snake. Continuing the massive gold trend is a 1951 1,000 Baht from Thailand, that offers a hefty 5.56 troy ounce Actual Gold Weight. The smaller denominations in that series follow, appealing to the collector who appreciates completion. All told, the Foreign Coin session is packed with gold, and should draw considerable interest. There will be a separate catalog for the Q. David Bowers Collection of Chinese Copper Coinage, with that session to be held on Monday, April 2 at 9:30 AM Hong Kong Time. Please see the detailed press release for this session which can be found at www.Stacksbowers.com. Additionally, there will be a catalog produced for the Hong Kong, World and Chinese Paper Money, with the session held on Wednesday, April 4 at 2:30 PM Hong Kong Time. A separate press release detailing the many paper money rarities can be found at the link above. The Internet only session be held on Thursday, April 5, with the Chinese, Hong Kong & World Coins Session taking place at 10:30 AM Hong Kong Time (7:30 PM Pacific Time on Wednesday, April 4). These sessions will offer a number of highly desirable coins and medals with very attractive opening bids that are certain to attract intense bidder activity. Lot viewing will be available at the Stack’s Bowers and Ponterio Santa Ana office before the sale, as well as in Hong Kong immediately prior to the auction itself. Check Stacksbowers.com for specific dates and times. 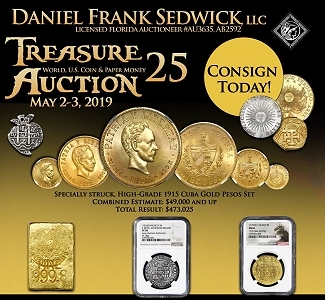 And of course, no announcement would be complete without a reminder that when you are ready to sell, Stack’s Bowers Galleries is your source for auction. 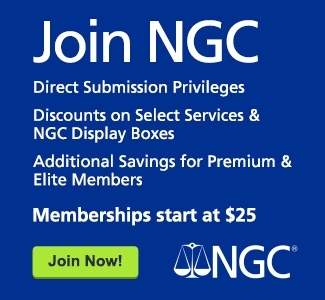 The firm offers professional handling of your collection, with a proven track record of accomplished sales. 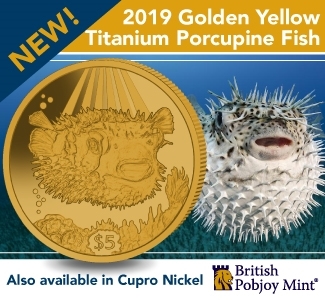 Currently, they are accepting consignments for the August 2018 Hong Kong auction as well as the August 2018 ANA auction, the May 2018 Collector’s Choice Online auction and the January 2019 New York International (NYINC) Auction. 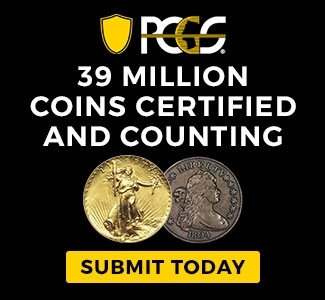 Contact a consignment specialist at (949) 253-0916 or via email at info@StacksBowers.com or stop by and visit the Stack’s Bowers and Ponterio table located near the entrance at the Hong Kong Coin Show which runs from Friday April 6 to Sunday April 8.